Nitro PDF Alternative. Fill, Edit, Sign, Save & Export PDFs Online. PDFfiller is everything Nitro PDF is, and more! 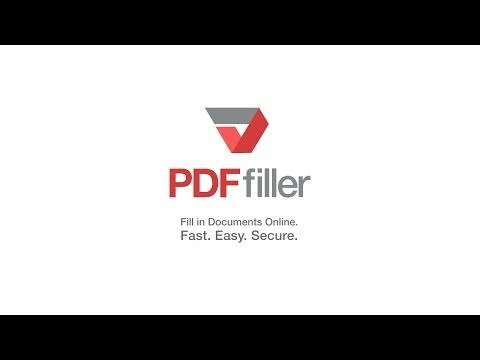 PDFfiller is the only online platform that enables you to Fill, Erase, eSign, Fax, Export & Search PDFs or other documents from anywhere, on any device. PDF Filler makes it so easy and efficient to complete any document. I will never go back to handwriting, it's just a lot neater and clearly stated with PDF Filler. I love being able to complete PDF forms so clean and professional. This is an awesome resource of unavailable forms. Great Resource for completing forms! great so far. Really nice to have online too. Especially if you are somewhere else without your computer. Impressed with the speed and capability of the program in dealing with PDF forms and files. PDF filler is really great - it's very user friendly and, so far, has all the forms I need. PDFfiller is a web-based pdf editor. Unlike Nitro PDF Editor, you do not need to download or install any software. You can fill, edit, sign, store and export your documents online using any device from anywhere. What is an affordable alternative to Nitro Pro PDF Editor? PDFfiller is your choice. PDFfiller is a web-based pdf editor. Unlike Nitro Pro Editor, you do not need to download or install any software. You can fill, edit, sign, store and export your documents online using any device from anywhere, with just $5.99/month. Yes. PDFfiller.com allows you to edit any type of PDF document, scanned form, application, contract document, license form or certificate with our various tools and features. You can rearrange, rotate, and delete, the pages. You can also, add text, images, and signatures to each page. How do I fill out a PDF form? To fill out a PDF form, begin by de-selecting the current function you are using or just simply click anywhere on the document and begin to type. You can then drag and move the text to your desired location. How do I write on a scanned PDF document? To write on a scanned PDF document, click anywhere on the document and begin typing. Can I search for forms using PDFfiller? Yes, PDFfiller allows you to search for forms, and send them for signature. Other programs such as Docusign and Adobe Echosign require you to download additional software in order to search for forms. Can I annotate a PDF? Yes, you can. Upload your PDF documents to PDFfiller, or choose the document you want to edit and click “Fill” button in PDFfiller’s “My Forms” page. You can access to a variety of annotation features using the editor toolbar in “Draw” tab. To mark parts of text in the document, click the first button and select the text you’d like to highlight. To add a comment, click the fourth button and place a text box anywhere in your document. To add a sticky note, click the last button of the toolbar and place a note anywhere in your PDF. You can change the notes’ font setting using the buttons below the “Sticky Note” button. To underline text, click “Line” (the 6th) button and draw a line in your document. Place the line under the text you want to underline. How to erase text in PDF certificate form? To erase text in PDF forms, upload your PDF forms to PDFfiller, or choose the form you’d like to edit in “My Forms” page and click “Fill” button. Click the third "Erase" button in “Draw” tab toolbar and get an content eraser. Select the text that you want to white out by clicking and holding the button on the mouse to draw a box around the area. Release the mouse when you're done.You can change the size of the eraser using the editor toolbar. To edit font settings, begin by clicking on the “Font” button. You can then change the font type, adjust the size and color. You can also, modify text in to bold, underline, and italics. How to black out in PDF? To black out any content in PDF documents, upload your PDF documents to PDFfiller, or choose the PDF you’d like to black out in “My Forms” page and click “Fill” button. Click the second "Black Out" button in “Draw” tab toolbar and get a black square. Select the area that you want to black out by clicking and holding the button on the mouse to draw a box around the area. Release the mouse when you're done.You can change the size of the black square using the editor toolbar. Can I sign a document online? Absolutely. PDFfiller allows you to sign any document using our DigiSign technology. You can use a signature font or upload a signature file and apply it anywhere on the document. Select the document that you would like signed, click the “SendToSign” button, and select the “SendToSign” option. Then, enter up to 20 email addresses, add an optional message for your recipients, choose a security option, and send. (If you select a PIN, you will have to provide this to the recipient separately, it will NOT appear in the email). Signees will receive an email containing a secure link, and login credentials if they are not already PDFfiller users. After clicking the secure link and signing into PDFfiller, (and entering the PIN if necessary), recipients will be able to fill out and sign the document. When a document has been completed, you will receive an email notification, and you will be able to retrieve the completed document via a secure link in this email, or in your “My Forms” page on PDFfiller under the SendToSign tab on the left. Select the document that you would like signed, click the “SendToSign” button, and select the “SendToEach” option. Then, enter up to 20 email addresses, use the arrows to the right of each address to select your signing order, add an optional message for your recipients, and send. The first signee will receive an email containing a secure link, and login credentials if they are not already PDFfiller users. After clicking the secure link and signing into PDFfiller, the recipient will be able to fill out and sign the document. Once the document has been completed, the next recipient in the chain receive their email. Once all signees have completed the document, you will receive an email notification, and you will be able to retrieve the completed document via a secure link in this email, or in your “My Forms” page on PDFfiller under the SendToSign tab on the left. Select the document that you would like signed, click the “SendToSign” button, and select the “SendToMany” option. Then, enter up to 20 email addresses, add an optional message for your recipients, and send. All signees will receive an email containing a secure link, and login credentials if they are not already PDFfiller users. After clicking the secure link and signing into PDFfiller, the recipients will be able to fill out and sign the document. How do I insert check marks to my documents? To add check (circle or cross) marks to your documents, begin by clicking on one of the “Check”, “Circle”, and “Cross” buttons and simply drag them to your desired location on the document. How do I Create, Use and edit Templates? Upload the document with PDFfiller.com Uploader or select the document in “My Forms” page. Fill in the information that you want your template to always contain and click “Done” button to return to "My Forms" page. Select the filled document and click “T”--“Template” button. Your document will be converted into a template. Every time you open the document, you will be prompted for a new document name and a new one will be created. The template itself will remain unchanged and ready for use. If you need to modify the template, simply select the template form in “My Form” page and click “Template” button. The template will be converted to a regular form. You can modify and convert it to a template later. The user uploads the necessary PDF file at the platform’s website and the document opens in the editor, where the following functionally is normally enabled: adding text, inserting images, e-Signature, highlighting, adding shapes and attaching blank pages. After that, the modified document can be downloaded or saved in the most popular cloud storages - GoogleDrive or Dropbox. More advanced platforms like, PDFescape, also provide annotating tools and more options of the pages layout. Anyways, PDFfiller is the best alternative of the available online services (for example, Nitro PDF), as it serves as a complete document management platform rather than a monofunctional editing tool. No need to upload documents previously saved on your computer, as you can paste the URL to the necessary document, find it in our library of fillable forms, get it from email or, upload it as well. You can merge several document into a single fillable document. You can create a new form containing all most common text formats, graphics, images and signature. Inserting fillable fields (for text, numbers, check marks, initials, signature, date, dropdown menu, formula). Possibility to view the document before printing, downloading or sending it out, when all the edits are finished. And, what is more important all these actions can be taken on any devices, both desktop and mobile.